Thanks to the innovative ultra-thin cable included, it is possible to ﬂy tethered Multirotor up to 150m (500ft) height. Tether cable provides continuous power to the drone, so it Custom Power Source can ﬂy permanently with no endurance limitations. Powered from Vehicle power source (12V DC) or electrical grid (110 - 230V AC) for installation on permanent stations. Autonomous system controlled by Autopilot controls cable release and collection, avoiding tangles and cable breaks. High bandwidth Ethernet connection for video and data transmission through cable, enabling a two-way communications channel. 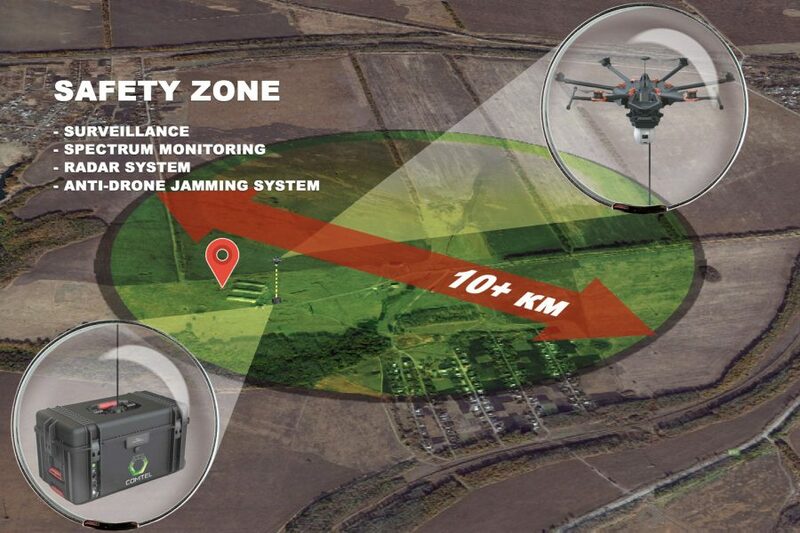 Cable data transmission enables safe data communications, avoiding jamming attacks and data piracy & capture at the time it avoids drone location. 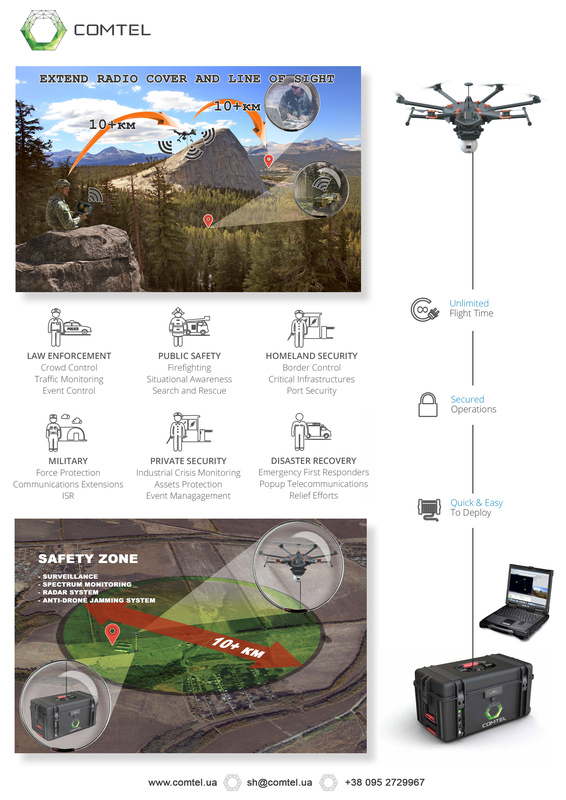 Integrated with Multirotor Autopilot, we have an advanced monitoring station. Peak Power Output: 4000 W.
Cable Weight: 1,65 Kg. for 150 m.
Double Power Input AC: 2 x 230 V.